Many readers of the SoundStage! Network will be familiar with the 2L label. It produced one of the years best discs, Divertimenti, which we reviewed on Ultra Audio. Its a relatively new company, started in 1996 as Lindberg Lyd Ltd. and named after its founder, engineer and producer Morten Lindberg. This innovative young man believes in using new audio formats to their maximum potential. Hes also big on surround sound, which he has written extensively about on the 2L website. Lindbergs approach to surround is very aggressive, a philosophy that has led him to deviate from standard seating arrangements and achieve some fascinating results. He now works with DXD (Digital eXtreme Definition), recording at 24 bits and a 352.8kHz sampling rate, along with very careful choices in microphones and recording venues to bring out the best in the musicians and the engineering. Lindbergs most recent SACD/Blu-ray double-disc set is titled Flute Mystery (2L 58, *****) and features music by the young Norwegian composer Fred Jonny Berg. 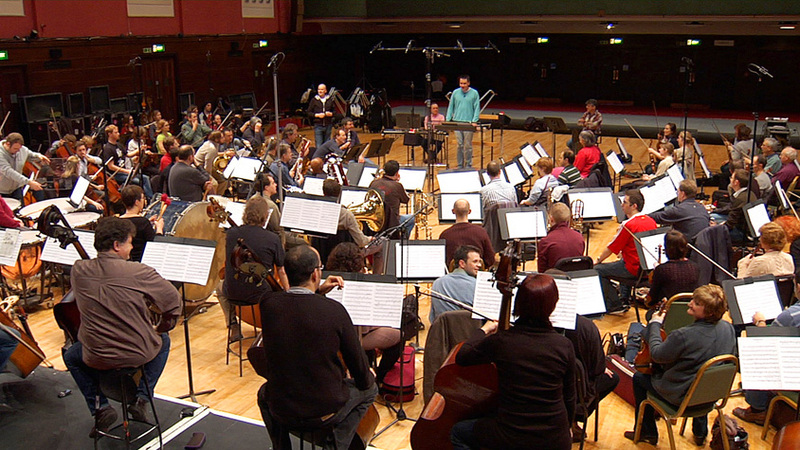 Until now, Lindberg has found superb Norwegian musicians in his own backyard, but for this recording the Lindberg Lyd mobile truck visited Watford Colosseum in London to record with the famous Philharmonia Orchestra. For his soloists he chose sisters Emily Beynon, the principal flautist of the Royal Concertgebouw Orchestra (to whom Bergs Flute Concerto No.1 is dedicated), and harpist Catherine Beynon, the principal harpist with the Philharmonic Orchestra of Luxembourg. Distinguished conductor and pianist Vladimir Ashkenazy leads the orchestra in the concerto and Flute Mystery, and composer Berg conducts his own three works for the orchestra: Warning Zero, Pastorale, and Vicino alla Montagna. Bergs music is lush and lyrical with exceptionally imaginative orchestrations. 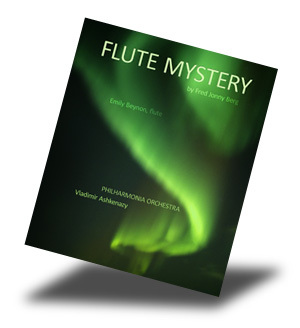 Flute Mystery features the flute and harp soloists with a string orchestra, whereas the flute concerto finds the soloist with harp and glass harmonica, woodwinds, strings, a brass section of horns and tuba (minus trumpets and trombones), tubular bells, timpani, and organ. The soloists shine and the orchestra sounds well rehearsed, playing with singular precision and warmth. The recording is everything you could want. Its clear, transparent, warm, and it has an analog sweetness in the high-frequency range. The surrounds are used extensively and with imagination, and they seem to play an integral role in the recording instead of distracting from it. Theres a different seating arrangement for each composition, and Lindberg has provided an accurate drawing of each seating plan. I found his drawings absolutely accurate, and the imaging was the best Ive ever heard. Thanks to an appropriately used center channel, the players stayed where they belonged without any wandering, and the soundstage is fairly wide and just deep enough. There is a two-channel mix on both the SACD and the Blu-ray Disc. These are superb, as far as two-channel goes, but to my ear this music fully blooms only when heard in 5.1. The DTS tracks sounded a little smoother than the SACD ones, but this variation could stem from my having to use two different players (an Oppo for the SACD and a Panasonic for the Blu-ray). 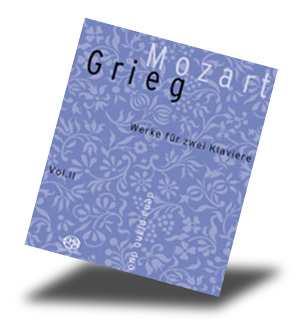 For another two-disc release, Lindberg turns from the 90-player orchestra to present music for two pianos from Mozart (two sonatas, K. 448 and 476) as well as Griegs Old Norwegian Romance with Variations (2L 57, ****1/2). The players are Norwegian pianist Tina Margareta Nilssen and her former teacher, Berlins Heide Görtz. Together, they comprise the Dena Piano Duo. The two play and breathe as one, perfectly capturing the alternating drama and lyricism of the music. This is bold Mozart, never hammered or stringent. Most recordings ignore the fact that the piano is a percussion instrument, while others seem to get inside the piano and sound too percussive. But this one is just right -- you can sense the initial strike to the string but still hear the round, rich tone. With the 192kHz sampling rate in play, I felt that I could subliminally sense harmonics that made the two instruments sound more real than on any piano recording Ive heard before. The balance between the two instruments is impeccable, and the imaging is rock solid. Theres no artificial ping-pong effect between the two instruments, and you can still easily tell them apart based on their location. I found little difference between the SACD and Blu-ray here, and I once again greatly preferred the multichannel tracks of both because of the three-dimensional feeling they give. Lindberg mixed the SACD and Blu-ray on this one. And though the producer is listed as Wolfgang Plagge, you can be sure the recording had to measure up to Lindbergs standards to be issued on 2L. 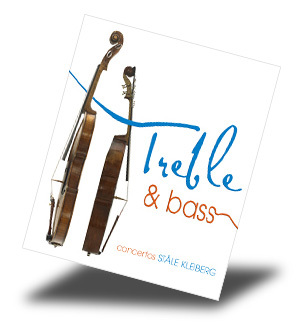 The third 2L release is presented only in the Hybrid SACD format, and since the violin and double bass concertos offered are for the highest- and lowest-pitched instruments of the string family, the set is appropriately called Treble and Bass (2L 59, ****). The music, composed by Norwegian Ståle Kleiberg, born in 1958 and currently a professor at the Norwegian University of Science and Technology, is a pastiche of 20th-century influences with an original core. You might think Bartók or Stravinsky, or even Vaughan Williams or Bax, but the composition is pure Kleiberg. Seeming in the same instant both fresh and familiar, each concerto is lyric and lush, with long, appealing melodic lines. The soloists normally play octaves apart (though Kleiberg takes the double bass into higher registers than usual by writing harmonics), but both have a lot in common: a burnished and golden tone, impressive virtuosity, and a heartfelt feeling for a long melodic line. Breathing with the music, they know just when to keep it going and when to let it wane. If double bassist Göran Sjölin seems to impress a bit more than violinist Marianne Thorsen, its likely because we seldom hear the double bass playing double stops, harmonics, and melodies more often associated with the cello. Conductor Daniel Reuss and his fine Trondheim Symphony Orchestra contribute a partnership that is much more than mere accompaniment. Morten Lindburg has created a multichannel sound so consistently beautiful through all of his recordings that I know Ill like it before hearing it, and there are no disappointments here. With a deep soundstage, warm and resonant ambience, and an almost microscopic attention to detail, this work will please even the most discerning audiophile. If youre still questioning Lindberg and his Nordic sound, the fourth release just might make you a believer. 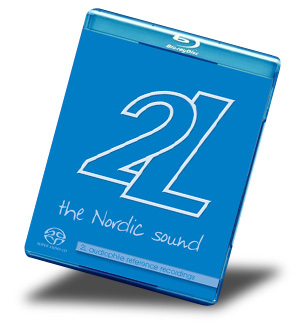 Back to the two-disc SACD/Blu-ray set for one of the best samplers ever, The Nordic Sound -- 2L Audiophile Reference Recordings (2L 1-SABD, ****1/2) has 19 tracks from the remarkable 2L catalog, and each varies greatly in character and sound design. Each tracks only common element is that its sound seems absolutely perfect for the music it conveys. Theres a cut here from the Mozart violin concerto disc that first attracted many to the label, as well as an excerpt from Benjamin Brittens Simple Symphony from the Tondheim soloists disc I mentioned at the beginning of this column. The rest range from the percussion cacophony of Nordheims Colorazione (the deep bass drum and crashing cymbal will give your entire audio system a workout), to the ethereal serenity of Gregorian chant. This might be the last disc from 2L to use multichannel PCM, as Lindberg claims hes happy with DTS-HD MA. Dolby TrueHD, which was on the Divertimenti release, has been deemed redundant and dropped from future releases. Lindberg has other plans for Blu-ray, including making use of its larger capacity for longer works and releasing Blu-ray editions of some back-catalog items. For August weve been promised a 2L recording of Griegs beloved piano concerto. If you have multichannel Blu-ray video playback or SACD capability, or even basic CD playback, you can play these discs. And if youre totally digital, you can download the titles from 2Ls site (or from HDtracks.com, which carries some of them in 24/96). Since the world is now inundated with MP3s, I doubt 2L will ever become a household name (though it should here at SoundStage!). Still, 2L consistently produces audiophile recordings that are at the top of the heap in both music and sound. Like Pixar with animated film, 2L seems unable to do wrong.